This fact sheet aims to clarify some of the key information around what permanent residence documentation is. The rights of EU nationals living in the UK remain unchanged while we are a member of the European Union. The Home Secretary has been clear that she wants to protect the status of EU nationals already living here, and the only circumstances in which that wouldn't be possible is if British citizens' rights in European member states were not protected in return. EU nationals who have lived continuously and lawfully in the UK for at least five years automatically have a permanent right to reside under EU law. There is no requirement to register for documentation certifying permanent residence to confirm this status. All applications for documents certifying permanent residence are considered on their individual merits. There is clear guidance available setting out what documentation and evidence is required. The onus is on an individual to submit the necessary evidence in support of their application. Our application forms include comprehensive guidance notes to assist applicants in submitting the relevant supporting documentation. No applicant is required to complete every page — only the sections that are relevant to their circumstances. 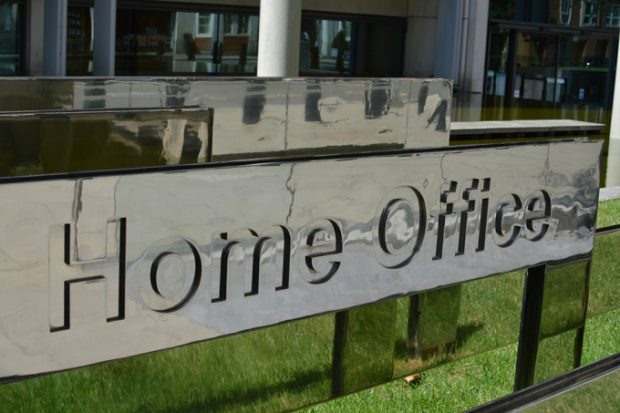 How is Home Office making the application process quicker and easier? All straightforward applications for documentation confirming permanent residency status continue to be processed within published service standards. The UKVI Service Standard is six months from date of application. This has not been breached since it was introduced on 1st January 2014. As part of the ongoing Home Office programme to digitise all applications for immigration routes, a service was launched in October 2016 to enable single EEA applicants to apply for permanent residence online. This service has been expanded as of 6 February 2017 to allow applicants to also apply on behalf of family members at the same time. Customers who apply for documentation certifying permanent residence online can also have their passport verified and copied at a range of participating Local Authorities and Premium Service Centres which are listed on our website, enabling people to retain their passport whilst their application is considered. Why might applications be rejected? Applications are refused or rejected where applicants have not demonstrated that they are exercising Treaty rights, or where the necessary conditions for acquiring residency status have not been demonstrated. Where applications are refused or rejected, the reasons are explained to applicants and they can choose, if they wish, to apply again with the necessary supporting evidence. Examples for rejection or refusal might include failing to provide valid passports or valid national Identity Card as confirmation of nationality or identity; failure to supply evidence of exercising a treaty right as a job seeker, worker, self-employed person, self sufficient person, or student; long absences which break continuity of residence; or failure to pay the application fee. This is the requirement set out in the Free Movement Directive and applies to all Member States. It is not just in UK law. EEA Nationals exercising Treaty rights as a self-sufficient person have always been required to demonstrate that they have comprehensive sickness insurance. Students have been required to have cover since 2011. The easiest way to demonstrate Comprehensive Sickness Insurance is through a valid European Health Insurance Card (EHIC) for temporary migrants issued free of charge by an EEA member state other than the UK, or their own Comprehensive Sickness Insurance policy.